I got fired from my job. Which turned out surprisingly great. Then I discovered a local wine school. Which was unsurprisingly great. (Thank you Northwest Wine Academy!) Then I took a year of wine classes. Which was simply great. And surprising. Did you know that wine has been around for at least 7,000 years? And that it was a discovery rather than an invention? (Sorry, beer, but wine was always inevitable.) Though no one will ever know all there is to know about wine, it is also surprisingly easy to appreciate on many levels. I was thinking about all this while visiting the Art Institute of Chicago. Feeling a bit intimidated and overwhelmed spending time in front of such famous paintings, I wondered exactly what I was supposed to think or feel. And I realized that wine can have the same effect on people. Which is really quite unfortunate. Not to mention unnecessary. I had already learned that anyone can appreciate wine, so it seemed the same was probably true for art. Perhaps it’s not a coincidence, then, that art and wine have such strong associations. They are both true example of the finer things in life. Subtle, complex, and beautiful; wine and art speak to our souls. As I stood in front of a work by Auguste Renoir that day, “Pinot Renoir” popped into my mind. I had a private chuckle and moved on, continuing to amuse myself with puns and alliterative combinations of wine and art throughout the day: “Chardonnay Monet,” “Cabernet Manet,” the list went on. When I returned from the trip, I was naive enough to think others might also enjoy my “inventions.” Surprisingly, they resonated with others as well. 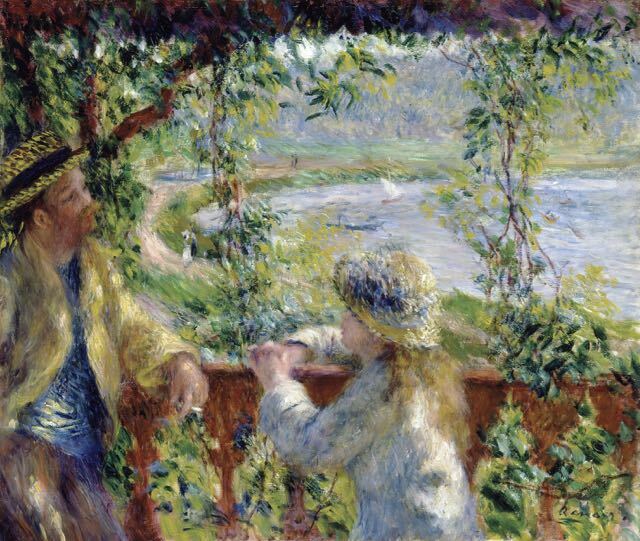 Renoir's work is easy to enjoy. When it comes to Monet, you can't go wrong with water lilies. 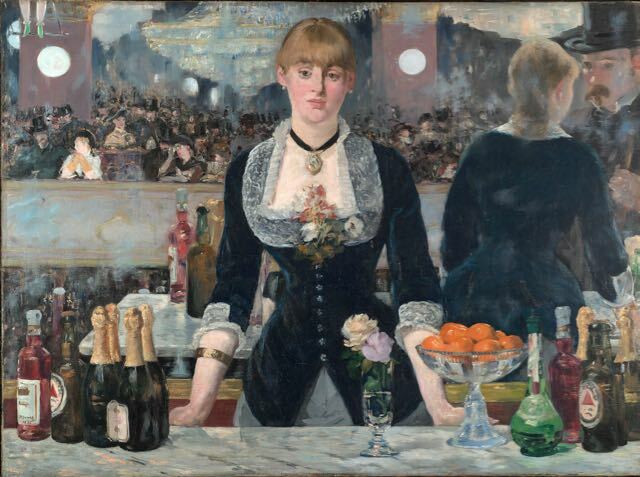 Like most great artists, Manet understood the value of a well-stocked bar. Determined not to be just another pretty face on the shelf, I enlisted the best winemakers I could for consultation and partnership. Combining such iconically beautiful images with excellent wine also seemed like a way to make it easier for casual wine drinkers to make great choices when standing (possibly overwhelmed) in the wine aisle. The preexisting emotional connection that many of us have with these images and artists is a strong draw, and with delicious wine in the bottles, everybody wins. It’s been a while since that visit to the art museum and my feeling that wine is delightful and easy to enjoy endures. So slow down, swirl, smell, taste, close your eyes, take it in, and as always, anticipate every glass! Drum Roll Wine certainly would not exist without the strong and exceptional support of my wife, Sundee. We're just getting started around here. And we love a good wine surprise. Have one to share? Email us!